MJS Engineering & Land Surveying, PC is a civil and environmental engineering and land surveying firm located in Goshen, New York. The company was formed in 1996 by Michael J. Sandor, PE. Michael holds a Bachelor of Civil Engineering Degree with focus in Civil Engineering from City College of New York. He also earned his Master of Engineering from Manhattan College. He brings with him over 35 years of consulting and design experience. Michael has served as an adjunct professor for the Sullivan County Community College Surveying Program. Michael's specialty is Hydrology and Hydraulics. He has been selected by the Oragne County Department of Public Works to evaluate bridges throughout the county. He was also responsible for the review of the Federal Emergency Management Plan for the City of Middletown. James C. Clearwater, PLS, joined the firm in 2000. James has 35 years of experience in the land surveying field and is an integral part of the company. He is responsible for running the surveying division of the firm and oversees all work completed in the field. James has been called upon to provide expert tesimony in many boundary dispute cases. The staffing at MJS varies from licensed Professional Engineers and Land Surveyors to Environmental, Stormwater and Design Specialists. Our staff is certified to provide NYS Department of Transportation construction inspections. This mix of experienced professionals ensures that we can provide broad-based solutions to any land use problem. Our staff is constantly learning the newest design practices while utilizing the latest technology. This allows us to provide the most effective solutions for our clients. Our services include site selection, planning and development. The firm is well versed in the planning and land use approval process before local municipalites. 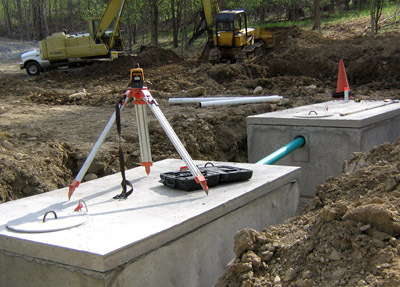 We work closely with state regulatory agencies and are familiar with current regulations regarding the design of potable, waste and stormwater systems. We can provide expert testimony for land surveying and engineering matters. Please see the Services tab for a complete listing.